Hakeem Bello, Enugu: The Federal Government’s strategy of rebooting the economy through infrastructure development across the country has started yielding results as impressive figures came forth during the inspection of the highway projects in the South-East zone by the Hon. Minister of Power, Works and Housing, Mr Babatunde Fashola SAN. The figures came from the restoration of lost jobs for construction workers, creation of indirect jobs through support workers like food vendors, suppliers of materials like sand, laterite, water tankers and improving demand and supply for allied businesses like diesel and fuel to power trucks, tractors, graders and milling machines among others. According to the Minister, who made several stops to interact with Contractors, workers, members of the community around and journalists, injecting money into the economy by paying contractors who have not been paid for three years, who can now pay their workers, refinance their bank loans, and pay their suppliers have positive multiplier effects now gradually manifesting. Such positive effect include improving the ease of doing business by reducing travel time on completed road sections, making uncompleted sections temporarily more motorable, reducing the cost of travel and movement of supplies including food and farm produce thus restoring production and ultimately growth to the economy. Fashola said in addition to restoring jobs and creating new ones, the Federal Government was committed to equitable distribution of infrastructural facilities across the nation’s six geopolitical zones. Fielding questions after inspecting a section of the on going rehabilitation of Enugu-Port Harcourt Expressway, Fashola emphasized that the Federal Government, led by President Muhammadu Buhari, was not and would not be discriminatory in the allocation of developmental projects across the country irrespective of political affiliations. The Minister told the newsmen in response to a question, “As I said when I visited the Imo State Government, which was where I started, our government is blind to party when it comes to development. Every state of this Federation is part of the constituency of the Federal Government and we have his mandate to partner and not to compete with them”. “One of the things that I want to say at this time is that there is no part of the country that the Federal Ministry of Power, Works and Housing is not doing one thing or the other”, he said adding that the mandate of the President was being executed nationwide through the Federal Controllers of Works in the states whom he described as Ambassadors of the Federal Government. Fashola, who expressed delight at the collaboration that was now emerging between the State commissioners of Works, Infrastructure and Transport “as designated” on one hand and the Federal Controllers of Works, said as such collaborations got better government would be able to overcome some of the challenges that had bogged down road development across the country. The Minister, however, appealed to the commissioners of Works in the states to provide and sustain the collaboration by providing access and partnership with the Federal Controllers in their states whom, according to him, have been directed to make themselves available to support the states. On why some of the Federal roads across some states never got adequate attention in spite of their economic importance, Fashola noted that in the past, some of the funds provided for the interstate Federal roads were diverted to build community roads described as “spurs” while neglecting the interstate roads adding, however, that the Federal Government was poised to change such practice. “So, we saw on our records, Owerri-Umuahia Road under construction. 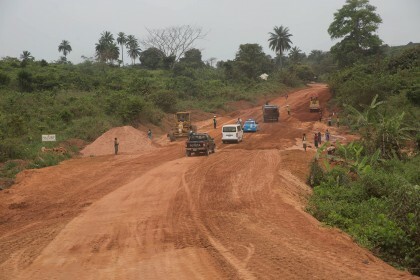 But the truth is that no work is going on there; the work is going on in roads that lead to villages”, the Minister said pointing out that the funds would have been better used in building the Owerri-Umuahia Road that connects two big economies, and that probably would have connected them to Akwa Ibom and to Enugu states to facilitate more trade. He declared, “The villages to which those roads were being built, what is the business there, there was only one person making coffin. 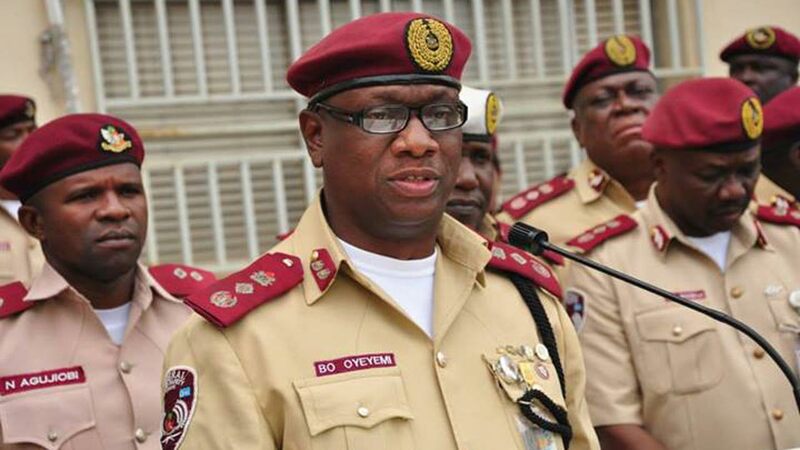 But the main roads which would enhance commercial activities were not getting attention”, adding that even while those funds were being employed in doing community roads, the records being presented to the Federal Government were that the interstate roads were being done. Stressing Federal Government’s determination to change the situation, Fashola again reiterated, “We have to focus on our own work and get the legislative arm to support us to focus on our own work to build roads that connect states, roads like Owerri- Umuahia-Okigwe, Enugu-Port Harcourt and so on. These are the roads we want to focus on”, adding that without prejudice to what the representatives of the people wanted to do at their local levels those were the roads that must take priority. The Minister, however, clarified that using those funds meant for federal roads to do community roads should not be seen as diversion of funds since the community roads being built were part of national development but reemphasized that given the choices that must have to be made, roads that carry the heaviest traffic should take priority over others down the line. Stressing the importance of positive and progressive thinking, Fashola, who said he preferred giving hope to the people everywhere he went, added that whatever had made the contractors to stop work and abandon the sites was in the past as the present administration has come to change the situation. The Minister told the newsmen, “Everywhere I go I bring hope. Let us stop talking negatively; what happened was yesterday. There was poor funding in the past but the contractors are getting money now. The Buhari Government is now paying contractors”. As for how long the project would take to complete, Fashola, who based it on how much and how soon more money would be made available to the contractors added, “But they are now getting money after not being paid for three years. From the very first budget that was passed in May last year, we have returned people to work”. “You heard when the contractor was saying that they have recalled 335 of the workers they laid off. And the people of this community are benefitting by supplying water, gravel, vending food and other businesses. So the economy is on its way back. This is the way out of recession”, he said. In all the project sites inspected, the Ministry had ensured that the Contractors transparently displayed details of the work being handled, budget releases, the states to be connected by the roads and the staff engaged. For example, the Rehabilitation of Enugu-Port Harcourt Expressway Section III: Enugu-Lokpanta being handled by CGC Nigeria Ltd had such a board which indicated that the project which is located in the Southern part of Enugu State is the first section of the rehabilitation project of the dual carriageway connecting Enugu-Imo-Rivers from Enugu to Port Harcourt. It indicated that 252 direct jobs and 57 indirect jobs for Nigerians had been created through the project. Similarly, Arab Contractors handling the Rehabilitation and Reconstruction of Enugu- Port Harcourt Dual Carriageway Section II : Umuahia Tower- Aba Township Rail/Road Bridge Crossing in Abia State has created 535 and 436 direct and indirect jobs respectively. 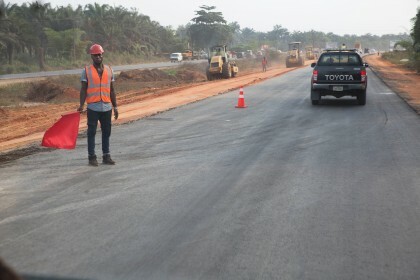 On the construction of Abiriba-Arochukwu-Ohafia Road in Abia State, the local contracting firm Beks Kimse Nigeria Ltd has created 30 and 20 direct and indirect jobs respectively. Also in Abia State, the Rehabilitation and Reconstruction of Enugu-Port Harcourt Dual Carriage Section I : Lokpanta-Umuahia Tower in Abia State has generated 220 direct and 30 indirect jobs for residents. Earlier, while on a courtesy call to the Imo State Governor, Owelle Rochas Okorocha in Owerri, Fashola had told the Deputy Governor of the State, Eze Madumere, who stood in for the Governor that he was in the State to see first hand the projects being executed by the Federal Government and to reemphasize the assertion that the Federal Government was not discriminatory in its distribution of developmental projects. At the direction of the Minister, the Federal Controller of Works in the State briefed the audience on the number and stage of work on the federal road projects in the State. 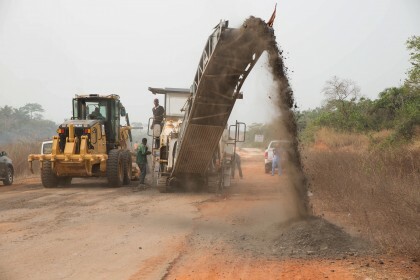 According to the Works Controller, there are five federal road projects currently going on across the State and at different stages of completion. 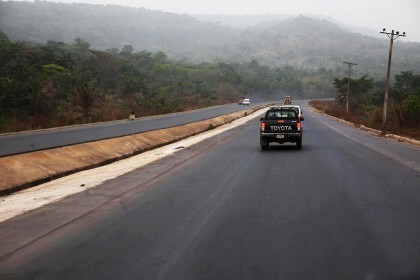 They include the rehabilitation, expansion and improvement of Owerri-Ohafia Road which, according to him, is now 60 per cent complete, construction of Ikot-Ekpene Border-Aba-Owerri Dualization Section 1 Phase 1,which, he said was 22 per cent complete, construction of Mbaise -Ngwa Road Phases 1 and 2, 11 per cent complete, rehabilitation of Amawaisu-Ozuakoli Road, 60 per cent complete and Oba-Nnewi-Okigwe Road Section 2, 30 per cent complete. Also according to him, assessment has been carried out on four other roads including Ihube-Okigwe and Aghara-Owerri Roads and proposals have been written and submitted to the headquarters of the Ministry for the rehabilitation of collapsed sections of the roads. Speaking after the Controller of Works’ briefing, Fashola added, “I think it is important to emphasize that, perhaps contrary to the impressions that may have been created in some quarters, it is now clear from the list of road projects in the state that the Federal Government is present here and in other states”. “The question now see is the status of the projects and, perhaps, additional things that the states may want the Federal Government to do”, he said adding, “It is very fairly common knowledge that most of these roads had contractors who had left the sites over the last two to three years before the advent of this administration largely because they were not paid”. The Minister explained further, “And as I reiterated at the inception of my tour of duty was that the quick starter was to remobilize those contractors back to site on the five roads and others for repairs in the state”, adding that because the 2016 budget did not come into force until sometime in May, 2016 while warrant for payment was issued in June and payment was made in July, mobilization of contractors was already facing some challenges because it was at the peak of the Rainy Season. He, however, added that having operated the budget now for seven months, one of the things he had come to do in the State was to see for himself what was going on and to do some spot check, even though, according to him, “I get reports with photographs”. He added, “But one other think I also wish to achieve is to continue to emphasize the importance of our Controllers of Works in various states. If we are going to make progress in providing support and partnership with state governments, the quickest way to do so is through the Controllers”. “I have met with them, I have briefed them about the role that they will play as ambassadors of the Federal Government in the development and support of the state governments in infrastructure renewal”, Fashola said reiterating that the Federal Government was not in competition with any state government. He added, “We are partners in progress irrespective of the political parties we belong”, reiterating that the Controllers, whom he described as “our ambassadors”, have the clear mandate to go and support the State governments and not to oppose them. He also advised the State governments to report to him any difficulty they experienced with any of our controllers. The Ministry, he said, was trying to develop a programme that would help the Controllers have, “not only the administrative and democratic authority and autonomy to take control of their states”, adding, “We are also hoping that in this fiscal year they would also have financial authority to support you. When that is concluded, I will announce the details of how it will be done”. On the National Housing Programme as it concerned the State and others in the Zone, the Minister also asked the Federal Controllers of Housing in the States to brief with all reporting progress in the allocation and clearance of land in preparation for commencement of construction of buildings for the National Housing Programmes. The Minister, however, noted that electricity still remained an issue, adding that in terms of expansion of the National Grid, progress was being made and the grid was getting bigger. He also said that gas supply was a challenge especially from the damage to the pipelines at the Forcados and Escravos. Other challenges, the Minister said, included involvement in trying to solve disputes between geometric states over their power project adding that the case that arose out of the dispute has now been taken out of court and the parties have agreed to settle. “We are at the point now where the issues of financing compensation that was paid in dollars is the last major hurdle to overcome. When that is done, we expect that the power plant would be completed and it is possible to have more dedicated power for this state and especially for its industries and commercial enterprises”, the Minister said. In his response, the Imo State Deputy Governor, Eze Madumere, described the visit of the Minister as very significant and historic pointing out that since 2011 when the government took office, this was the first time a Minister of Works was visiting the State. “We have been here since 2011 and we have not seen anything like this”, the Deputy Governor said adding that the fact that the Minister could left every other thing he was doing to come and see things for himself in the state showed that the concern of the President Buhari administration in the development of the state and the country. Expressing appreciation of the government and people of the state for the new development, the Deputy Governor pledged the readiness of the state government to do everything in its power to assist and support the Federal Government to achieve its developmental objectives in the state. God Bless this govt for commencing the reconstruction of these roads that will facilitate trade and boost economic activities in these areas!